Every now and then, some of my non-metal friends ask me what I'm listening to. 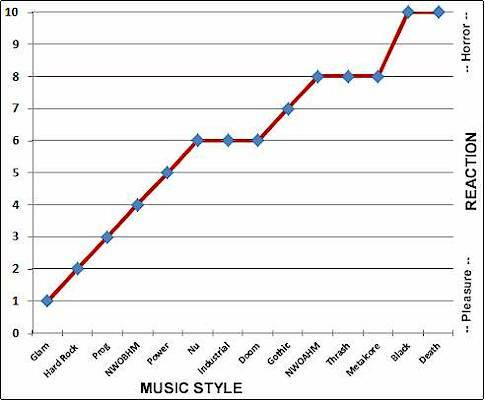 Here's an ascending chart of how the music style influenced the listeners' reactions. It's fairly predictable, but Glam wins out as the friendliest where Black and Death tie for the most displeasing reactions. Let it be your Maximum Metal guide to attracting or repulsing your visitors.